Home » Dish » Crumbs » Join Me For Lunch? An Exciting Concept From Bemis' Artist in Residence Will Have You Talking About Lunch. A List of Events to Celebrate the New Year. Now you can step outside of your echo chamber to do it. Omaha, New York, San Francisco, the Washington DC area and Puerto Rico are the test market for this new community art project, launched locally by Christy Chan, Artist in Residence at Bemis Center for Contemporary Arts. The project pairs complete strangers and a donated meal. What happens next? I guess we’ll find out. Participants are encouraged to record their conversations. To be paired with a lunch companion and a meal, head to the Website or Email HelloChristyChan@Gmail.Com. I know you only needed one of those to catch your attention, but Thunderhead Brewing is offering both. 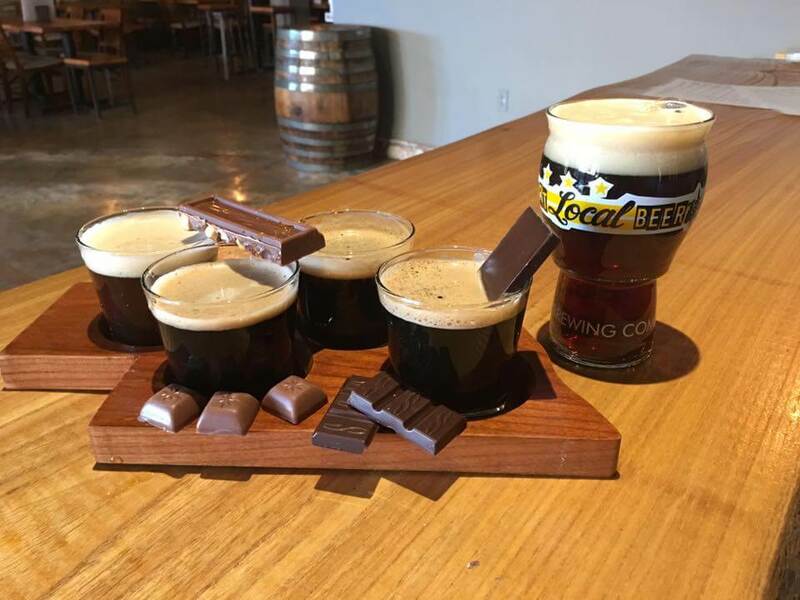 This Thursday from 7pm to 10pm, the taproom at 13304 West Center Rd will feature a four flight dark beer tasting, with chocolate pairings by pastry chef Adam Hurt. Tickets are available for presale (so a headcount can be established) by texting Jake the number in your party at 402-802-1600. $20 grants you access to the event, 4 flights with 4 chocolate pairings, and a Thunderhead keepsake glass. If you’re looking for a place to celebrate the start of a new year, a few Omaha bars and eateries are ready to host your farewell to 2017! Della Costa is going old school – Like 1978. The throwback party will serve dinner from 6pm-11, champagne toast at midnight, and the celebration ends at 1am. Reservations strongly suggested. Anthony Piccolo’s is throwing an intimate affair (which is now totally sold out!) until 2am. This is a ticket-holders only event and no walk-ins will be admitted. Monarch Prime and Bar is offering a four course prix fixe feast, followed by a champagne toast and dancing until 2am.